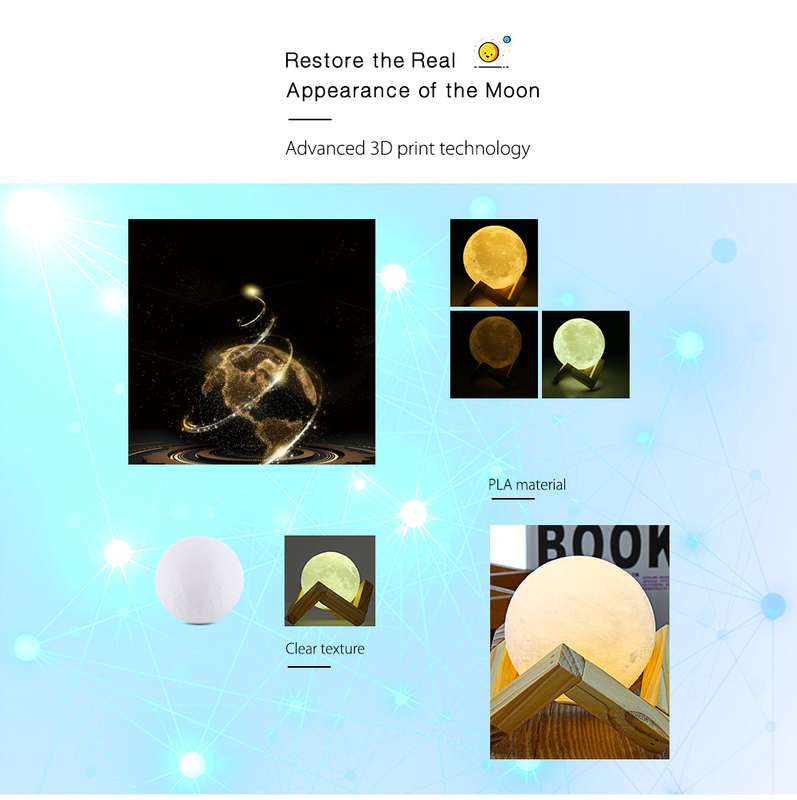 The most innovative design of real 3d magic lamp with illusion more similar to the full moon in its natural state with a sophisticated system that gives the viability to increase or fade its lighting tone!!! 1. 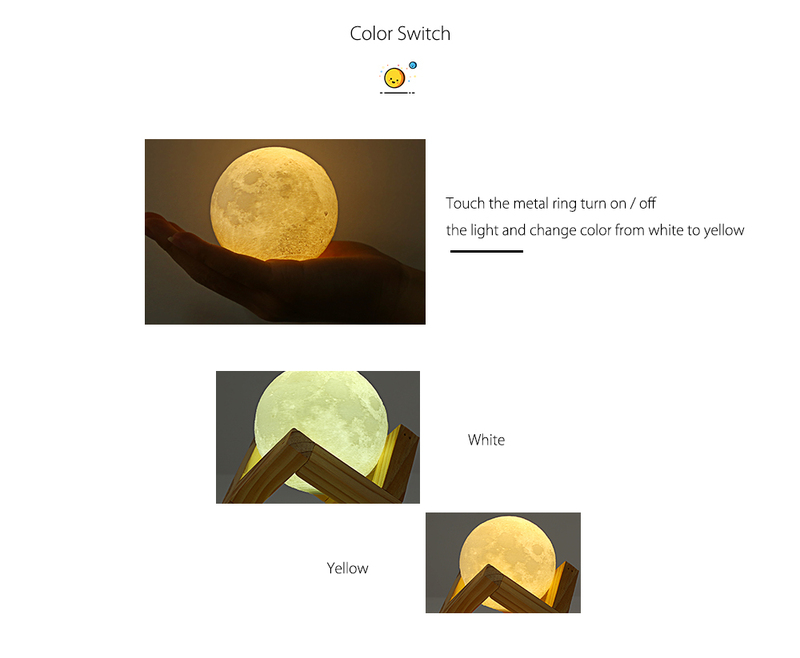 Touch the metal ring on the bottom of the moon lamp to turn on / off the light and change color from white to yellow. 2. 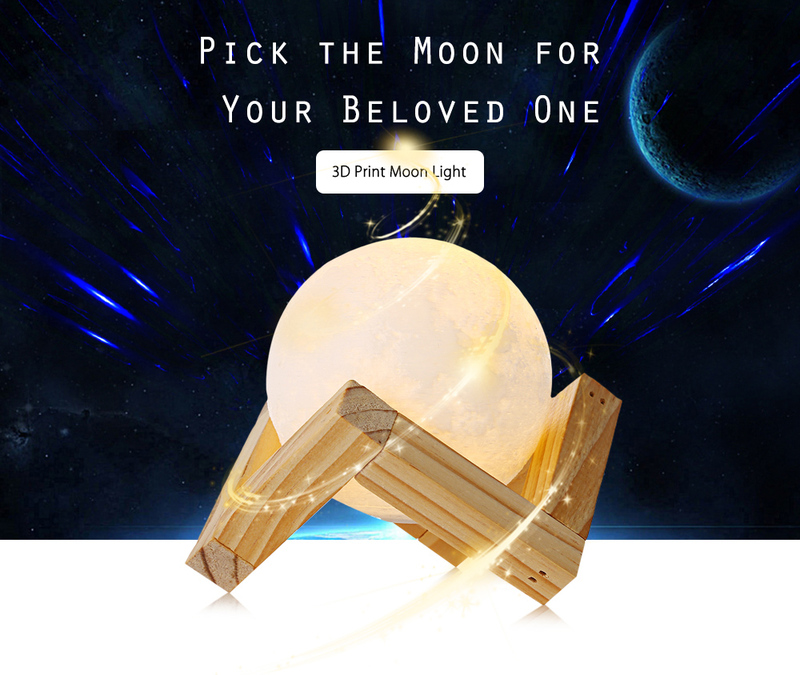 Hold the metal ring to adjust the brightness, and it has the brightness memory function. 3. If your hand is too dry or the temperature is too low, the light can not respond. 4. White light does not shine when energy is low. 5. 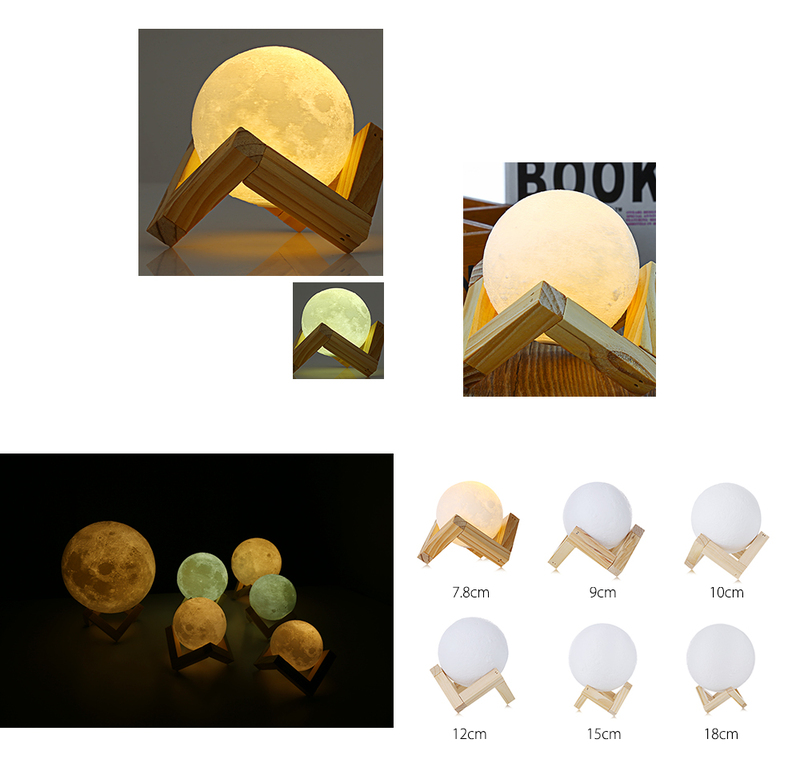 Insert the DC connector into the metal ring on the bottom of the moon lamp to charge, the red light is always on during charging. 6. 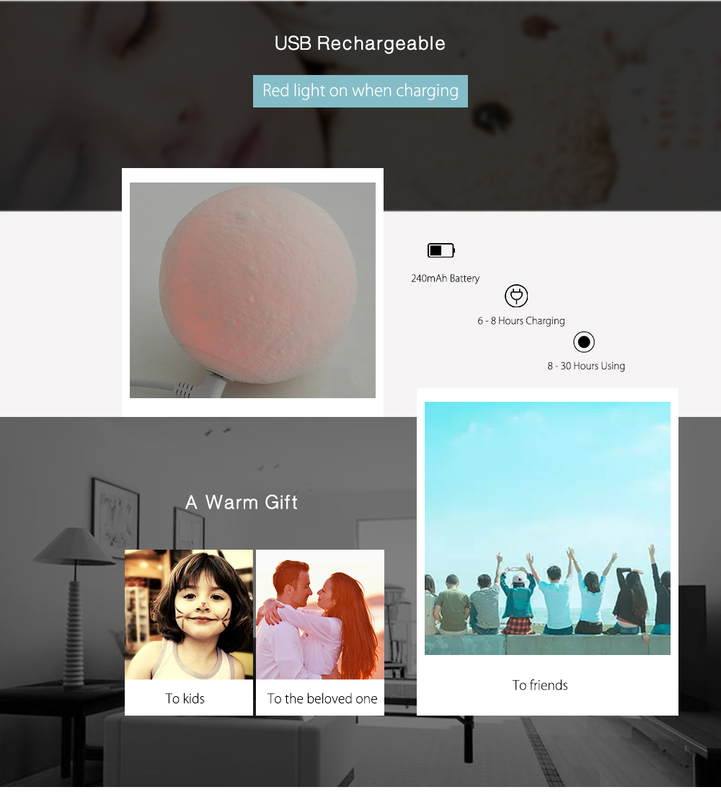 The red light will turn off automatically when it is fully charged.